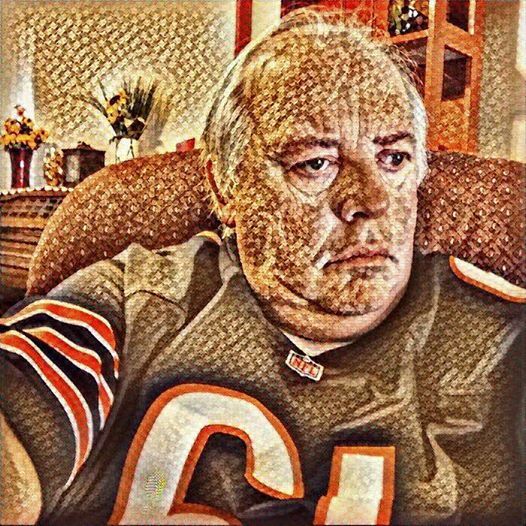 In roadworks, getting a year older and well, what is there to say about "Da Bears." Also very exciting news for this blog; it passed the 40,000 views mark in the first couple of days of the month. Now it stands at the 43,000 views mark. WOW! This means that September 2016 is the most viewed month since this blog was created way back in 2011. Thank you to everyone who has made this possible. You the readers, likers and subscribers to this blog. Without you this blog would not exist. It would be nice though if you would get involved, add a comment or two. Tell me the posts that you enjoy, share some of your experiences. Another birthday has passed, in this case my fifty-fifth. It seems no time ago when I was sitting in school listening to a careers teacher telling me all the things I couldn't do. Work with computers, work in television, write. How I had to prepare for a life of work in a chemical factory, like every other pupil at the school. Now looking back I have done most of the things I wanted to do at some time or other. I think though being a jet fighter pilot might be a little beyond me today. But you never know! Football season began here four weeks ago, another thing I don't understand. Years seem to pass between February and September then football season starts and we are already one quarter of the season down, and I hardly blinked! What is it with that? Well talking about down, my Bears. The Chicago Bears, at week three and half the team are wounded and looking more like the dogs of the NFL. Come On, Bears it is thirty years since you won the Superbowl, half a dozen years since you won a play-off spot. Time to give us fans a break and just win a game. Though the win against San Francisco in their nice new shiney stadium last season, was precious. Wasn't that the Bears last win? Maybe or maybe not, it just seems like it was. With the end of September comes the time of more exciting food. There is a chill in the air, even here in California. That means few days of salad type foods, less cold meat sandwiches. A return to hot soups, roasted meats and stews. This time of year brings me my favorite foods, and starting with the king of sweet pies, the Costco Pumpkin Pie. I had never tried pumpkin pie until 2002. The last night of my journey around the United States was spent at SeaTac airport. On the menu was pumpkin pie. I asked the waitress what it was like and she was at a loss to describe it. I guess like many of us we think our common place is the same for everyone. She ate pumpkin pie and so must everyone else. So I ordered some, thinking it may be the only time I would get to eat it. Little did I know then that only a few days earlier I had met my future wife, and America would become my home. Well that first bite, the sweet cinnamon taste, the soft pastry that crumbled in my mouth took me back to sneaking a bite of my grandmother's custard pies as a child. I had loved those custard pies and this pumpkin pie was just a custard pie in another guise. Now the season of good food begins, Pumpkin Pies are in Costco, my wife is talking about making soup and Turkey is sounding good on a plate instead of a sandwich. It is good to be at the end of another September. Go Bears! Please?